It is a raw material to make Calcium Carbide. 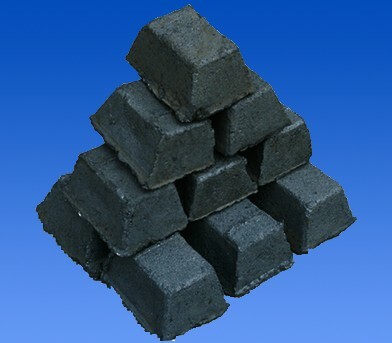 It can be used in Auxiliary Agent For Alloying /Calcium Carbide. It has samller electrical resistivity in to save electric power consumation during production. It is with small air hole to reduce oxidation speed, thermostability, low coefficient of expansion due to heat, and high mechanical strength. Ash content % 5 Max. 6 max. Electrical Resistively none 70 max. Electrode current density A/cm2 6.245 min. 6.24 min. Looking for ideal Black Electro Paste Manufacturer & supplier ? We have a wide selection at great prices to help you get creative. All the Brick Electro Paste are quality guaranteed. We are China Origin Factory of Good Electro Paste. If you have any question, please feel free to contact us.